Although scientists and doctors do not fully understand what causes Alzheimer’s disease at the present time, they do know that there is likely not one single cause but a combination of multiple contributing factors that can affect each person differently. The human brain has 100 billion neurons. Each neuron is tasked with connecting with many others to form communication networks. Different groups of nerve cells in the brain all perform a unique function. Some are involved in memory and cognition. Others regulate the senses and help us to see, hear, and smell. Scientists believe Alzheimer’s disease renders cells unable to perform these important functions. And much like a factory, backups and breakdowns in one system or network may inevitably cause problems in other areas. As damage spreads, cells lose their ability to do their jobs and eventually die, causing irreversible changes in the brain. While memory loss is not uncommon in aging adults, Alzheimer’s disease is not a normal part of aging. Keep reading to learn more about Alzheimer’s, its causes and, and what sorts of methods can be put in place to care for those who are afflicted by the disease. More aging Americans are being cared for at home by family members than ever before. This is due in part to the rising cost of senior care. While most people are willing and able to care for their aging loved ones under normal circumstances, caring for a person with Alzheimer’s or another dementia-related condition can be a difficult task, which may at times become overwhelming. This is especially true if you lack the knowledge or expertise to identify the warning signs and deal with the symptoms. Memory loss that disrupts daily life, such as getting lost in a familiar place or repeating questions. Trouble handling money and paying bills. Misplacing items and being unable to retrace one’s steps to find them. Changes in mood, personality, or behaviors. As stated above, the underlying causes for Alzheimer’s are not yet fully understood, scientists have identified some factors which may contribute to the development of the disease. The most well-known risk factor for Alzheimer’s is old age. Most individuals who are affected by the disease are 65 years of age and older. After age 65, the risk of Alzheimer’s doubles every five years. At age 85, the risk reaches nearly one-third. Another major risk factor could be genetics. Alzheimer’s disease does run in some families. Most common are early-onset cases in which someone gets the disease well before the age of 65. Fortunately, these cases account for less than 5 percent of all diagnoses. Those who have a parent, brother or sister with Alzheimer’s are more likely to develop the disease. The risk increases if more than one family member has the illness. When diseases tend to run in families, genetics and environmental factors may play a major role. Most experts believe that the majority of Alzheimer’s disease occurs as a result of complex interactions among genes and other risk factors. Age, family history and heredity are all risk factors we can’t change. Now, research is beginning to reveal clues about other risk factors we may be able to influence through general lifestyle and wellness choices and effective management of other health conditions. Experts believe that the majority of Alzheimer’s disease occurs as a result of complex interactions among genes and other risk factors. Age, family medical history, and heredity are all risk factors that cannot be changed. However, research is beginning to uncover clues about other risk factors that we may be able to combat by making healthy lifestyle choices. 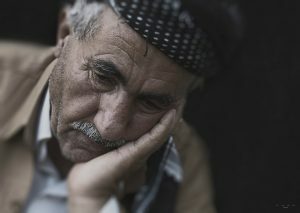 While the evidence is not yet definitive, there is reason to believe that getting plenty of exercise, avoiding tobacco use and secondhand smoke, controlling weight, eating a heart-healthy diet, and staying socially active, and keeping your mind stimulated may help delay the onset of Alzheimer’s disease, and may even help prevent it. Some evidence supports the position that there is a link between head injury and future risk of dementia. A traumatic brain injury’s direct effects may be long-lasting or even permanent. These can include unconsciousness, amnesia, confusion, difficulty learning and remembering new information, trouble speaking or forming coherent sentences, unsteadiness, lack of coordination, and problems with vision or hearing. Certain types of traumatic brain injury may increase the risk of developing Alzheimer’s or another form of dementia years after the injury takes place. There is some evidence that links brain health to heart health, and it makes sense given the fact that the brain is nourished by one of the body’s richest networks of blood vessels, and the heart is responsible for pumping blood through these blood vessels to the brain. Conditions that damage the heart and blood vessels may contribute to Alzheimer’s and vascular dementia. These conditions include heart disease, diabetes, stroke, high blood pressure, and high cholesterol. Do best to avoid factors that can contribute to these conditions, and be sure to tell your doctor if you notice any symptoms or warning signs of the aforementioned conditions. Alzheimer’s is a progressive condition in which symptoms worsen over time. In its early stages, memory loss tends to be mild, but with late-stage Alzheimer’s, individuals lose the ability to carry on a conversation and respond to their environment. Alzheimer’s is the sixth leading cause of death in the United States. People with Alzheimer’s generally live an average of eight years after their symptoms become noticeable to others, but survival can range from four to 20 years, depending on a person’s age and overall health. While there is currently no cure for Alzheimer’s, nor any method to slow its progression, there are some treatments that may help individuals living with the disease and their caregivers to cope with symptoms and improve quality of life. As Alzheimer’s disease progresses, brain cells die, and synaptic connections between neurons are lost, causing cognitive symptoms to worsen. While medications cannot stop the damage Alzheimer’s causes to brain cells, cholinesterase inhibitor drugs like Aricept, Exelon, Razadyne, as well as the drug Memantine may help quell or stabilize a person’s symptoms for a limited time by regulating the chemicals involved in carrying messages among the brain’s nerve cells. Doctors sometimes prescribe both types of medications together. These drugs prevent the breakdown of acetylcholine, a chemical messenger which is essential for learning and memory. By keeping acetylcholine levels high these medications help maintain cell communication within the brain. For the families of those affected by Alzheimer’s or dementia care, dealing with the behavioral changes that present with Alzheimer’s can be one of the hardest challenges. The chief cause of behavioral symptoms is the advancing deterioration of brain cells. However, some medications, environmental influences and other health conditions can cause symptoms, or even make them worse. In the early stages, people may experience behavior and personality changes such as irritability, anxiety, and depression. In later stages, other symptoms may include aggression or anger, anxiety, agitation, physical or verbal outbursts, hallucinations, delusions, and sleep issues to name a few. These changes can be stressful for both the elderly individual, as well as the caretaker. 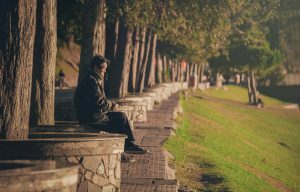 If you are not equipped or lack the patience and mental fortitude to deal with these changes, you may want to consider reaching out to a senior placement agency in your area to help you figure out a more effective means of providing care for your loved one. In the early stage of Alzheimer’s and dementia, most people are still able to maintain a good deal of their independence. The individual may still be able to drive, take part in social activities, and even work. Your role as care partner is an important one. Your goal is to provide support, companionship, and help put a plan in place for the future. Avoid stress: Prioritize tasks or actions that do not cause unnecessary stress for the person with dementia. For example, if you know that grocery shopping will be frustrating for the person with dementia, outline a weekly menu and organize a grocery list. Create a help signal: Identify a cue or phrase that you can use to confirm if the person with dementia is comfortable receiving support. For example, you may agree to use a phrase like, “Is there anything I can do to help?” Set up a signal that it’s ok to chime in if the person with dementia is having difficulty remembering a word or name. Work better together: Find activities to do together and keep the conversation going about expectations for how you will provide support. Check in regularly, so they always have a familiar face. People with Alzheimer’s want to live their best lives for as long as possible. The ability to remain healthy, active, engaged, and independent are important for their physical and mental health. Creating a daily routine with plenty of exercise, a proper diet, and avoiding stress triggers, can help your loved one live a fuller life for longer. During the middle stages of Alzheimer’s, brain damage can begin to affect the individual’s ability to express thoughts and perform routine tasks. It is not uncommon for someone with Alzheimer’s to being jumbling words or speaking in gibberish. They may also develop trouble bathing and dressing, or refusing to do those things altogether. It is during this stage that caregivers must take a more active role in the day to day care of the individual. They will need your help more than they realize, even if they are not too happy about receiving it. As the illness progresses, it becomes more and more essential to monitor the individual and ensure that they have constant supervision to prevent them from injuring themselves or wandering off. The late stage of Alzheimer’s disease may last several weeks or several years. As the disease progresses, the need for intensive and constant care becomes far greater. As the disease progresses, the affected individual may develop difficulties with eating, swallowing, walking, and speaking. They may also become more susceptible to infections such as pneumonia. As the disease progresses further the individual loses more of their cognition and self-awareness, they way that they experience the world also changes. Many people with late-stage Alzheimers become largely unresponsive to normal conversational cues, and may even seem as though they are in their own world. Though they may no longer be able to speak or understand language, you can still show them that you care by playing their favorite music, reading them passages of their favorite books, showing them old photos, or movies they once enjoyed. You can also offer physical forms of care and comfort by brushing their hair, holding their hand, or gently massaging their shoulders. One of the most important daily caregiving tasks during the last stages of Alzheimer’s is to monitoring and assist the person in maintaining proper nutrition. As a person becomes less active, he or she will require less food. However, a person in this stage of the disease may forget to eat or even lose their appetite. Adding sugar to food and serving their favorite foods may encourage eating. Your doctor may suggest supplements such as vitamins or meal replacement products, like Ensure, between meals. This will add to their caloric intake if weight loss is a problem. Set a toileting schedule. Keep a written record of when the person goes to the bathroom, and when and how much the person eats and drinks. This will help you track the person’s natural routine, and then you can plan a schedule. If the person is not able to get to the toilet, use a bedside commode. Limit liquids before bedtime. Limit — but do not eliminate — liquids at least two hours before bedtime. Be sure to provide adequate fluids for the person throughout the day to avoid dehydration. Use absorbent and protective products. Adult disposable briefs and bed pads can serve as a backup at night. Monitor bowel movements. It is not necessary for the person to have a bowel movement every day, but if there are three consecutive days without a bowel movement, he or she may be constipated. In such instances, it may help to add natural laxatives to the diet, such as prunes or fiber-rich foods (bran or whole-grain bread). Consult with the doctor if constipation continues. In the final stages of the illness, caring for a loved one with Alzheimer’s can be difficult, frustrating, and expensive to say the least. You may not be able to provide for these needs inside the home, even with adequate help from health aides and other in-home medical professionals. When this situation arises, it may be in the best interest of the affected individual to make the move to a facility where they can receive the proper care. The will ensure that their remaining time is as comfortable as possible. Making a choice when it comes to late-stage care can be one of the most difficult decisions that families of Alzheimer’s patients face. The best course of action may be to reach out to a senior placement service to help move the process forward, rather than trying to navigate the maze yourself. Ultimately, you want to find a facility where the individual can receive proper care and comfort in their final days. Hospice care focuses on maintaining a quality of life by providing comfort, care and support services to people with terminal illnesses and their families. Alzheimer’s disease is among the top 10 leading causes of death in the United States. It is The 6th leading cause of death among US adults. It’s the 5th leading cause of death in adults age 65 and over. In 2014, an estimated 5 million Americans aged 65 years or older had Alzheimer’s disease. This number continues to grow as the largest demographic of senior citizens reach their winter years. With any luck, the next few years will bring about breakthroughs in medical science that will help delay, or even prevent people from developing Alzheimer’s disease. Until then, caring for a loved one with Alzheimer’s will continue to be an unpleasant reality for caregivers. While it may be easy to become stressed and frustrated when providing care to the individual, we must emphasize the importance of patience, respect, and kindness when addressing your loved one’s needs. It can also lead to compassion fatigue and burnout from stress. If it becomes overwhelming, reach out to another family member to help provide care. Keep in mind that senior placement services can help you find the proper care that your loved one deserves. It’s usually at little or no out of pocket expense. If you have any experience caring for an individual who suffers from Alzheimer’s or some other form of dementia, leave a comment and share your expertise in the section below. Your advice may just help someone who is struggling to care for their aging loved one.